From the window of my seat on PAL flight 126, I looked down on Manhattan a few minutes before landing and was delighted to feel a stream of sunshine caressing my face. I felt favored by the Gods- blue skies and sunshine welcomed me on my first day in the city. And just like I ordered it from a weather-a-la-carte TV channel, the day stretched into a week of sunshine and warmth. My hostess with the mostest and a long time friend, Chinese celebrity Yue Sai Kan, had a week of activities planned out for her house guests, myself included. I had barely time to rest after my 20-hour flight when I was told that the first item in the agenda was lunch at the Metropolitan Museum and a tour of the exhibit China: Through the Looking Glass by no less than Maxwell Hearn himself, the Head of Asian Art Department. 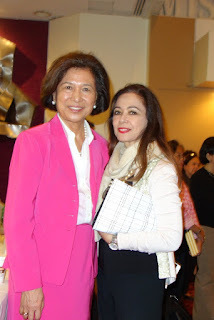 Through the Looking Glass is a grandiose collaboration between The Costume Institute and the Department of Asian Art; high fashion is juxtaposed with Chinese costumes, paintings, porcelains and other art and films. The exhibition explores the impact of Chinese aesthetics on Western fashion and how China has fueled the fashionable imagination for centuries. At the Met, i could'nt resist posing with Prometheus holding Medussa's head. Mike Hearn, 2nd from left, Head of the Asian Art Department, gave us a tour of China: Through the Looking Glass. 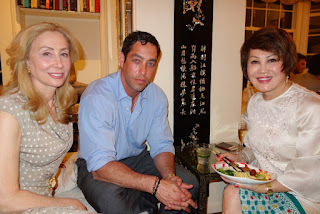 i am with Allan Pollack and my BFF, Yue Sai Kan. 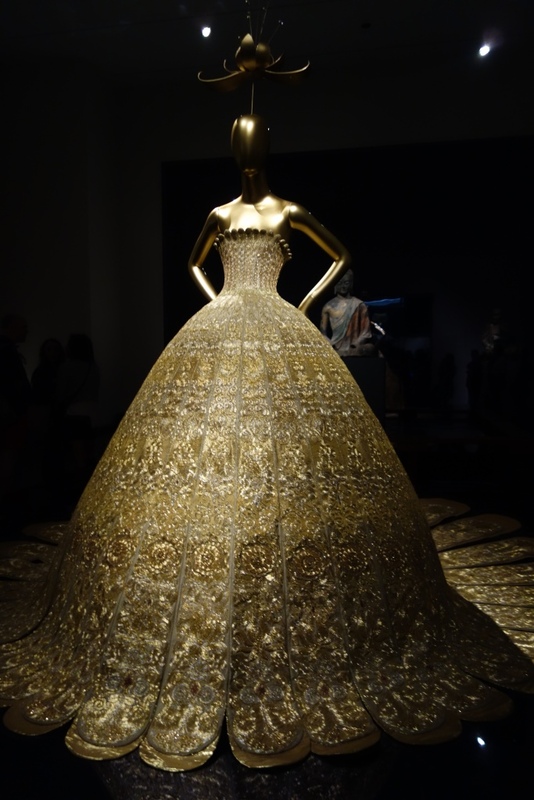 It took 56,000 hours for Guo Pei's workers to embroider this gown with the lotus hemline. The lotus flower is allegedly the symbol of the highest form of spirituality in the Buddhist religion. 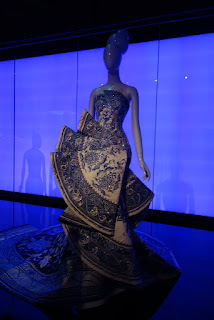 This blue and white gown, patterned after the blue and white porcelain that China introduced to the Western World in the 15th century, won Best National Costume in the Ms. Universe Contest, 2011. 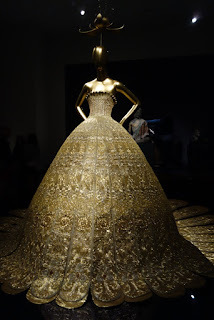 Couturier: Guo Pei, commissioned by Ms. Yue Sai Kan, chairperson of Ms. China for Ms. Universe. 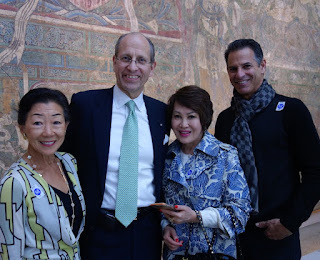 Lulu Wang, extreme left, is one of the biggest collectors of Oriental Art and she made this tour with Mike Hearn possible for us. With Mike Hearn, Yue Sai Kan and Allan Pollack. 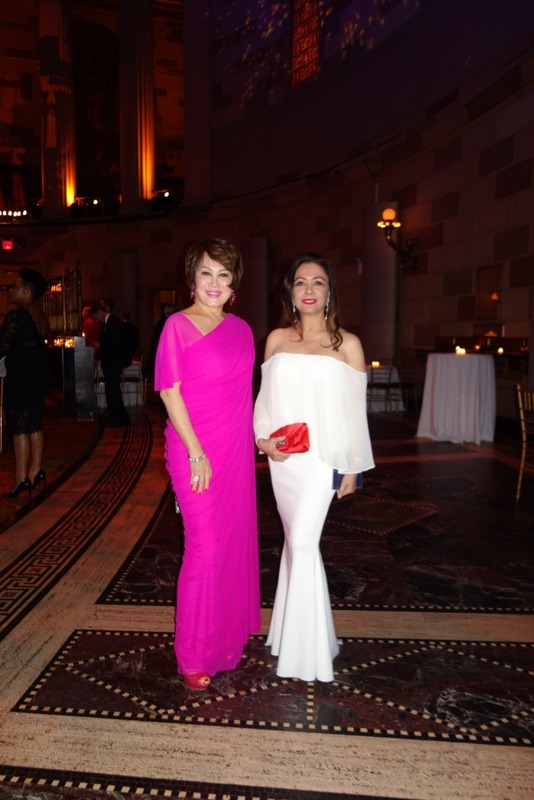 Three dinner parties at Ms. Kan's fabulous townhouse, a Blue Gold Ball, hosted by China Institute at Gotham Hall, a lunch at the hundred-acre Loeb estate in Purchase, NY, were the highlights of my first week in this dynamic city. I was so thrilled to meet for the second time one of my 3 favorite dance Pros of Dancing with the Stars, Tony Dovolani. 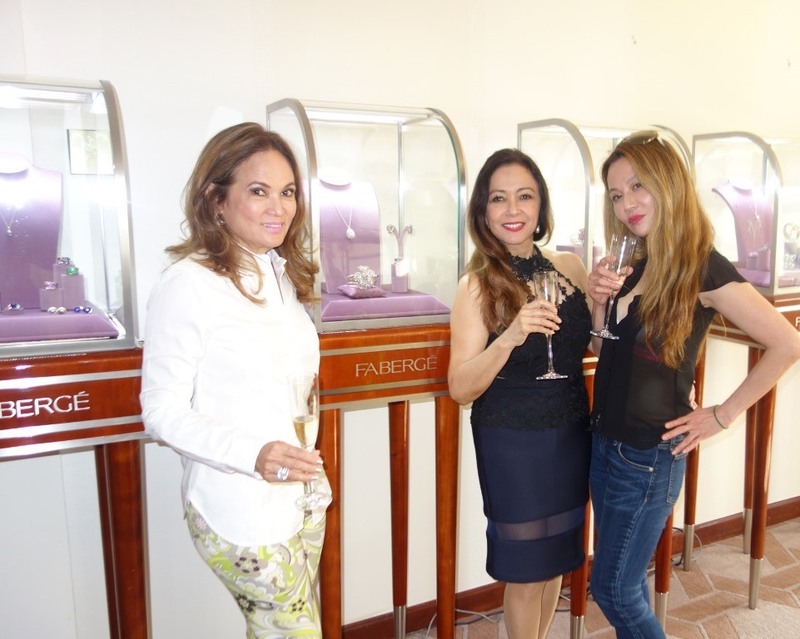 Kimberly Gilfroy ( in aqua ) Is an anchor of Fox News. Interesting trivia: Dr. David Ho became famous when he discovered the protocol for the Aids Virus. I met and interviewed him in 1997 and 18 years after, I meet him in a dinner party. 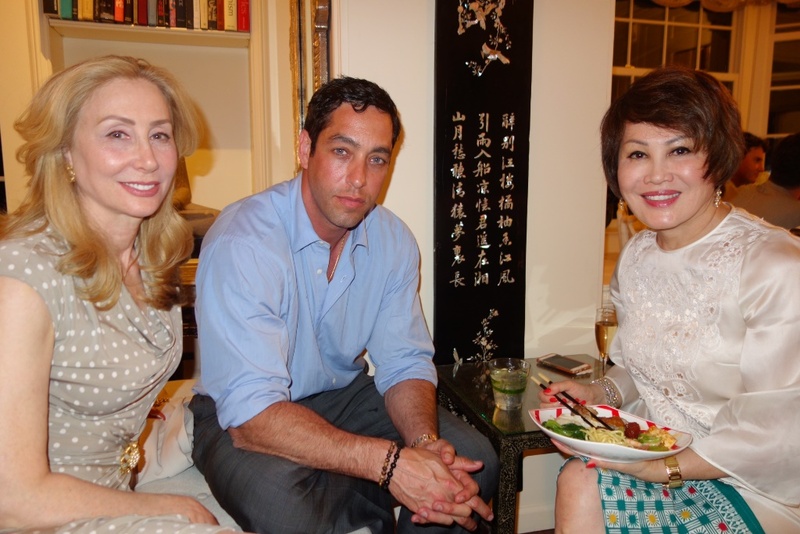 Sharon Leob, Nik Loeb and Ms. Kan. 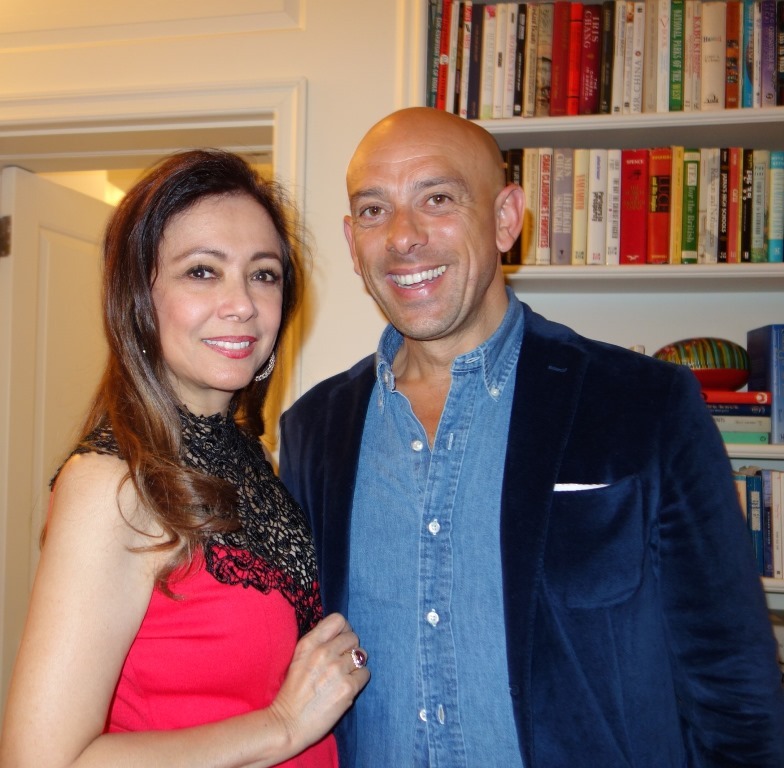 I met the VP of Flying Angels Foundation , Massimo Pollio, who loves the Philippines. 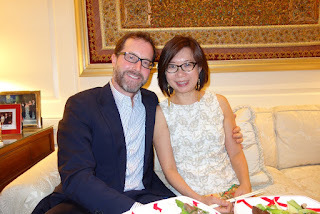 Loving couple, Stewart and Kim Beck were my fellow house guests at Ms. Yue Sai's 7 story townhouse. Cathedral heights ceiling of the Gotham Hall. 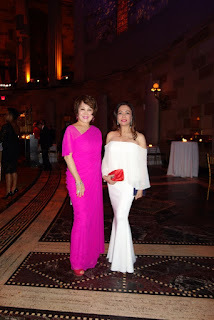 YSK and I are both in Maureen Disini gowns. 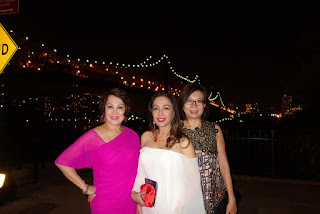 Yue Sai, Kim and I strike a pose by this well lit, 59th Street Bridge before proceeding to the Blue Gold Ball. 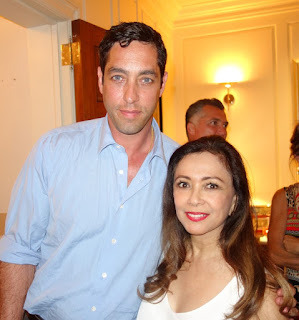 Towering over me at 6'3, Nick Loeb is the ex- fiancé of Sofia Vergara. 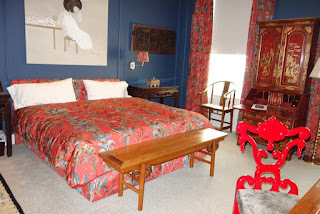 The guest bedroom which was assigned to me. The 59th street bridge is the view from my bedroom at Ms. Kan's residence. A replica of the Little Mermaid in Copehnagen, Denmark. 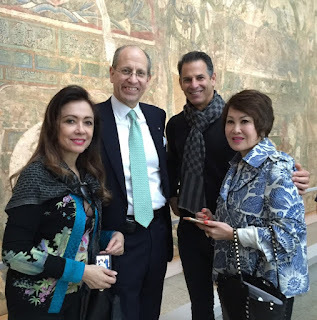 John Loeb was Ambassador to Denmark. 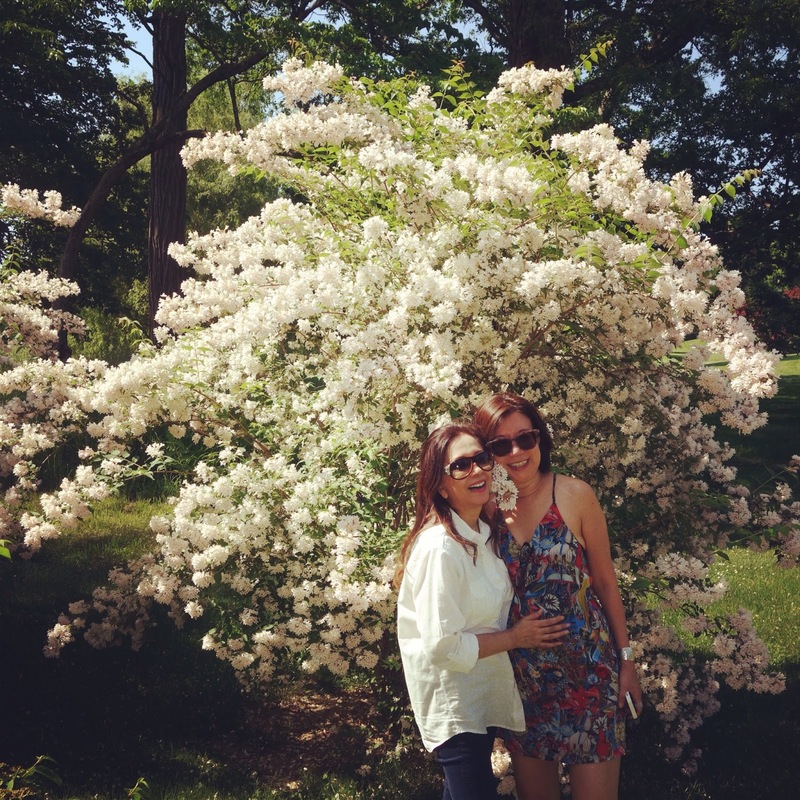 Kim and I were so happy to see Cherry blossoms in full bloom! 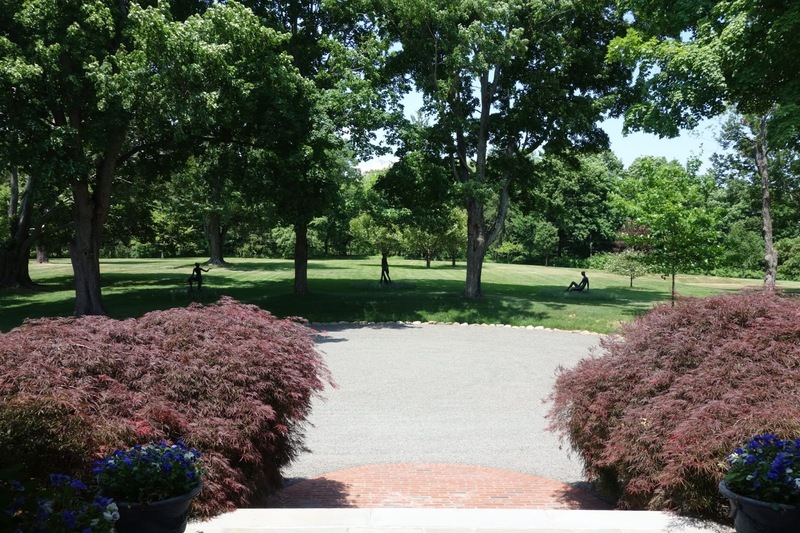 The serene view of plush greenery from the driveway. 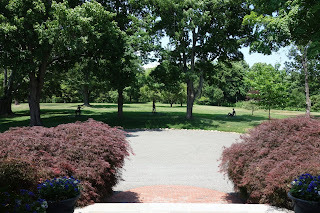 At the Loeb estate of Ambassador John Loeb and Sharon, there were statues all around the vast garden. 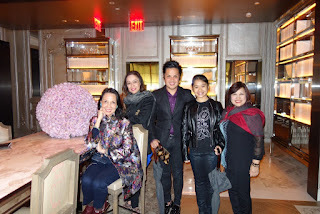 Friends make a city and my beloved friends who are part and parcel of my life made my NY holiday so memorable. Thanks to dear friend Lily O Boyle, I watched again the remake of the old classic of Yul Brynner, the King and I, this time with Ken Watanabe who got better as the play unravelled. 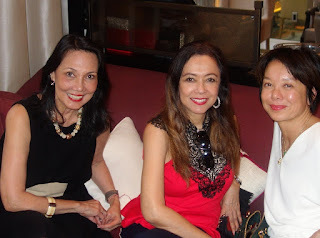 Another must see is An American in Paris, a replay of a Gene Kelly/Leslie Caron film which I watched with a friend from Shanghai, Kim Beck . Jersey Boys, the life of Frankie Valli is another one not to be missed. I am so happy that Hans and Vicky Schmid insisted on it. 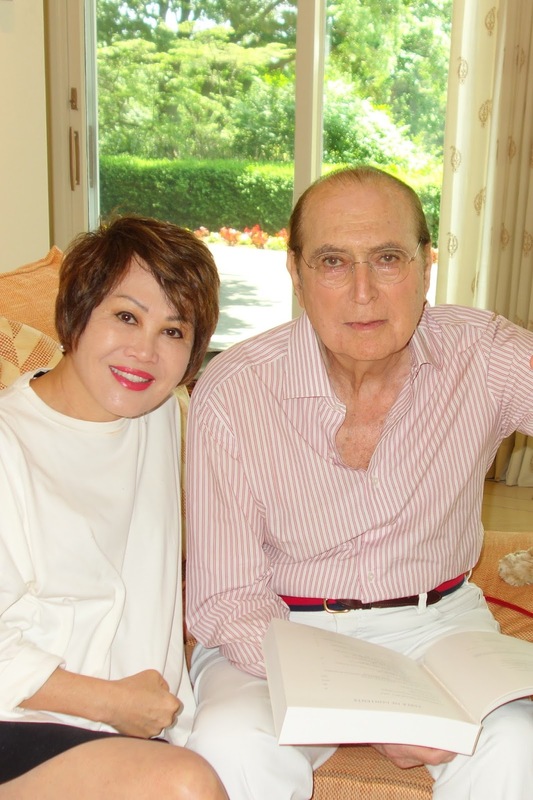 Didn't realize all those old time favorites like Can't Take my Eyes off You, Sherry, My Eyes Adored you, were his hits! Most enjoyable was the Dance Trilogy, Sway, at the Hammerstein Ballroom which I watched with dance enthusiasts Biba and Norman San Agustin, and Hans and Vicky Schmid. Featuring the stars of Dancing with the Stars, Tony Dovolani, Maks and Val Chmerkovskiy, and their respective partners, Sharna Burgess, Peta Murgatroyd, Meryl Davis, Rumer Willis and Jenna Johnson, this show really Rocked! 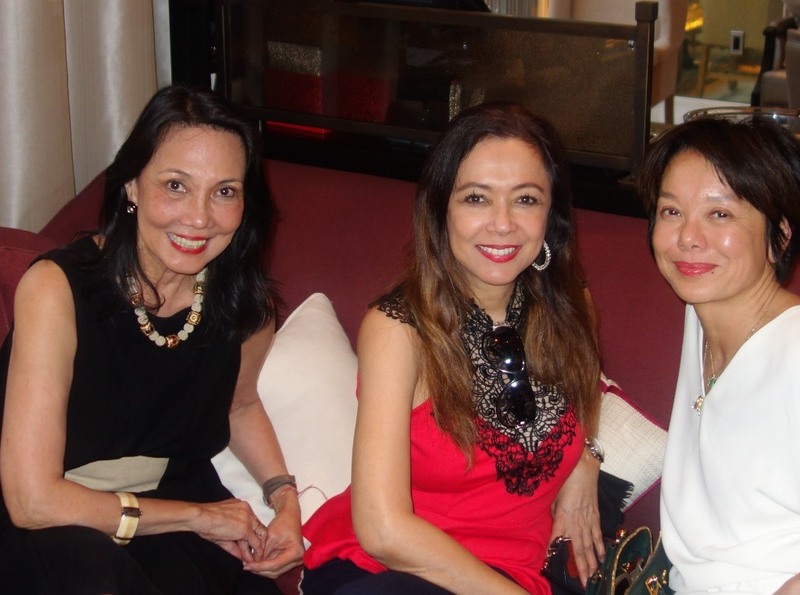 My DWTS soulmate, Biba San Agustin and I agreed that watching these dance pros in person is so surreal after just seeing them on TV competing against one another. With Alexandr Chmerkovskiy , one of the producers of the show, who couldn't remember my name so he called me Ms. Philippines. My soulmates in dance and other matters, Dr. Norman San Agustin and lovely wife Biba. 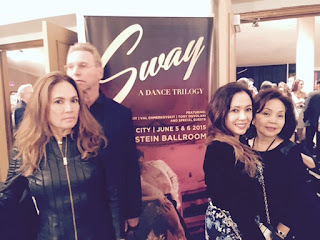 My group in Sway, a dance Trilogy. 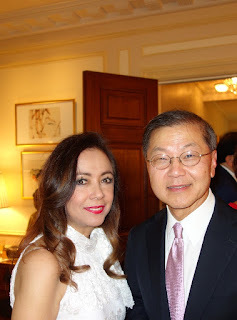 Vicky and Hans Schmid, Biba and Norman San Agustin, who took the picture. 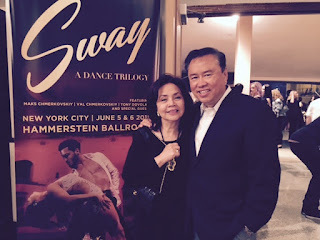 Must see shows - An American in Paris, The King and I, Jersey Boys, the life story of singer Frankie Valli. NYC is also a gastronomical experience. 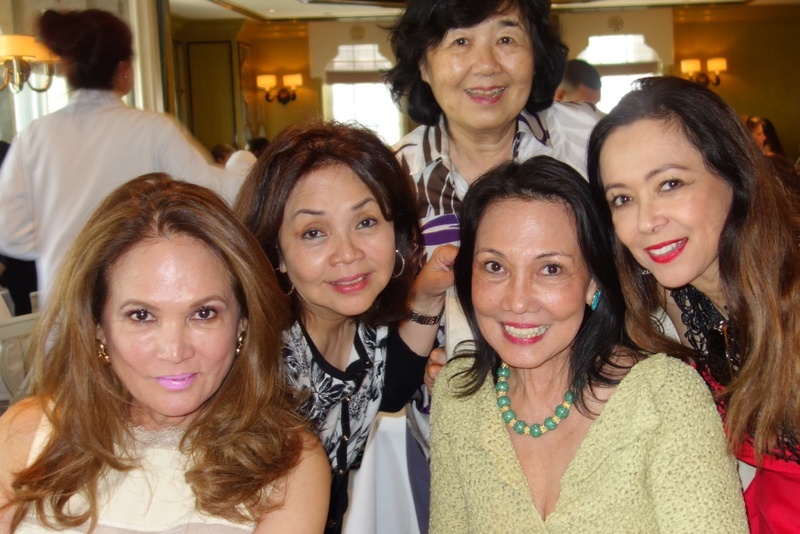 Lunches and dinners in Michelin rated restaurants made me oblivious to calorie-counting. I negated the calories by commuting to my appointments, no matter how far, on foot! I went to bed at night with every aching bone in my body clamoring for a massage! 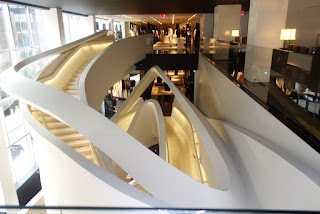 Pictures say a thousand words and the rest of my NYC story will be narrated with these photos. A happy lunch at Bergdorf with Vicky Schmid, Biba San Agustin, Helen, Lily 0 Boyle and moi! This architectural marvel, designed by Massimiliano Fuksas, is the stairway at the Armani flagship store on 56th and 5th. 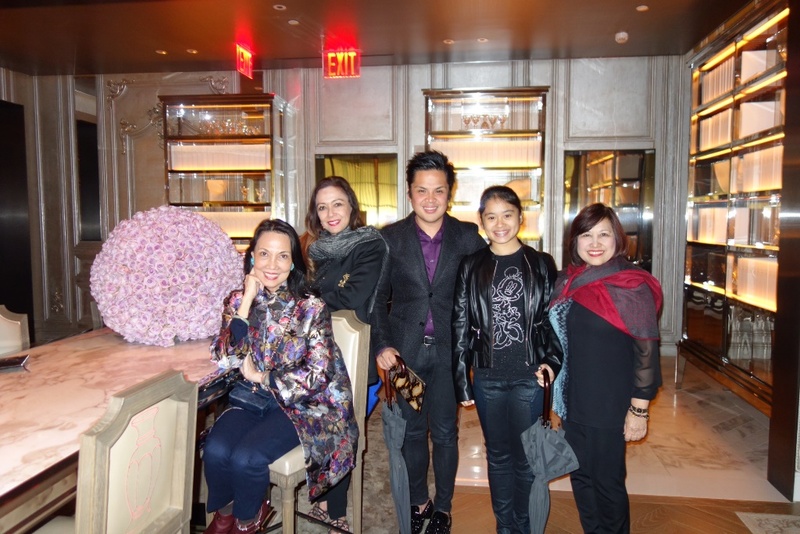 PJ Pascual, Alexa, Millet Pascual, Lily and I enjoyed chilling out at the cocktail lounge of Baccarat Hotel after our dinner in Chevalier. The Baccarat Hotel is full of chandeliers! My long - time dear friend Lily O Boyle and I chose this stand up chandelier. 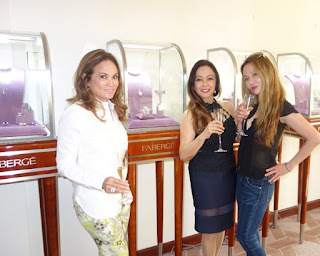 I attended a Faberge cocktail with Vicky Schmid and long time friend Tricia Lee. Tunting Cruz Matters flew in from Seattle to see Lily and me, on her way to Iceland to attend a wedding. 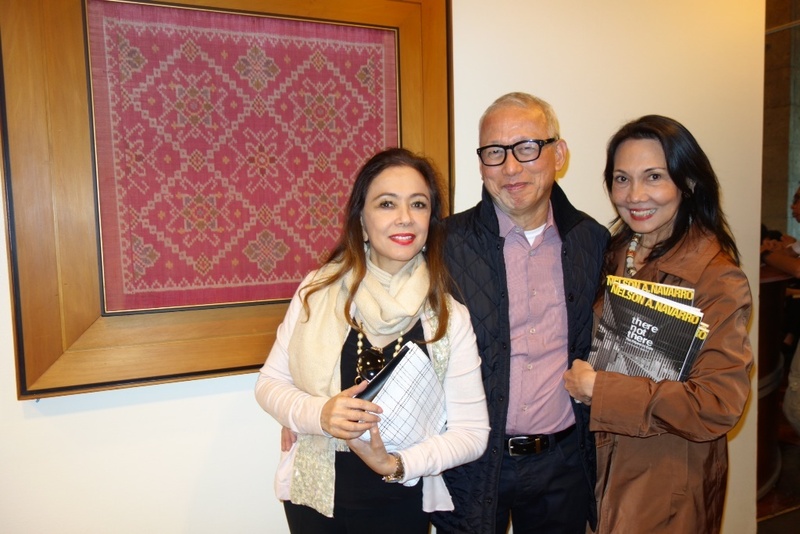 Lily and I bumped into Phil Star colleague Vic C. Agustin ( business page) during the launch of Nelson Navarro's book, There and Not There at the Philippine Embassy on 5th Avenue. Having fun at the bar of Villagio on Central Park South with my handsome friend Michael, who I call the Lion Man, as he is the epitome of the August born Lion. So happy to see Loida Nicolas Lewis, a philanthropist and businesswoman, one of the women I so admire. I have not seen Tricia Lee in a decade. So happy to find her still the same funny girl, more so now that she is in love with Dmitri, her Greek fiancé. 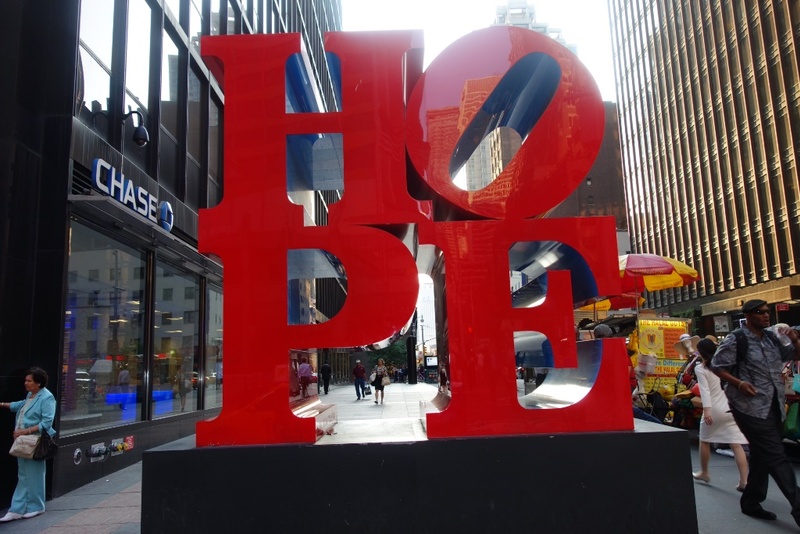 HOPE springs eternal. 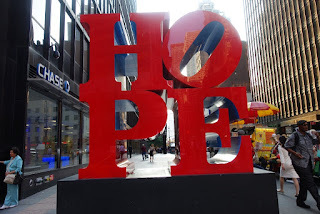 Every time I leave NYC, I am filled with hope, that I will soon come back! 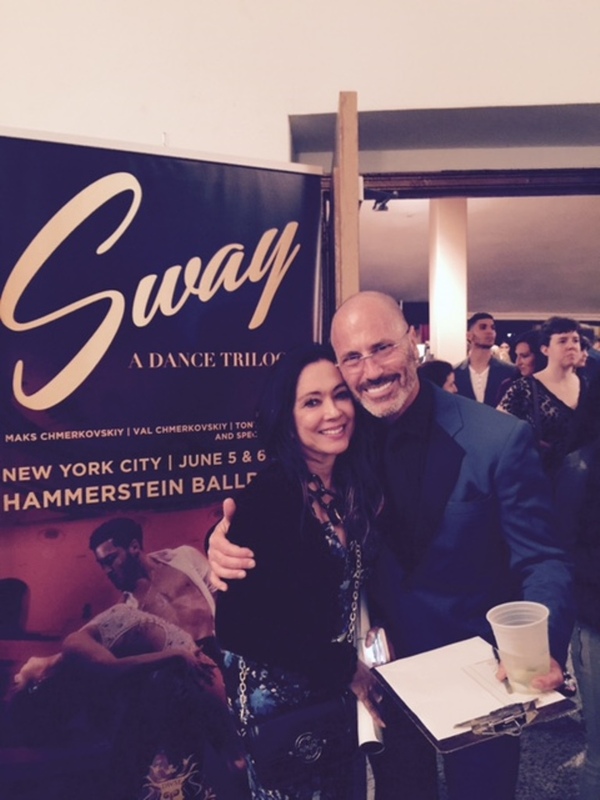 I never say Adieu to NYC. Part of my heart belongs here. It is always Au Revoir - till we meet again, NYC!